Superman has gone weekly with his brand-new title, The Man of Steel, a series which also marks the debut of Brian Michael Bendis who takes the helm of his first DC book since signing his exclusivity deal with the publishing giant. 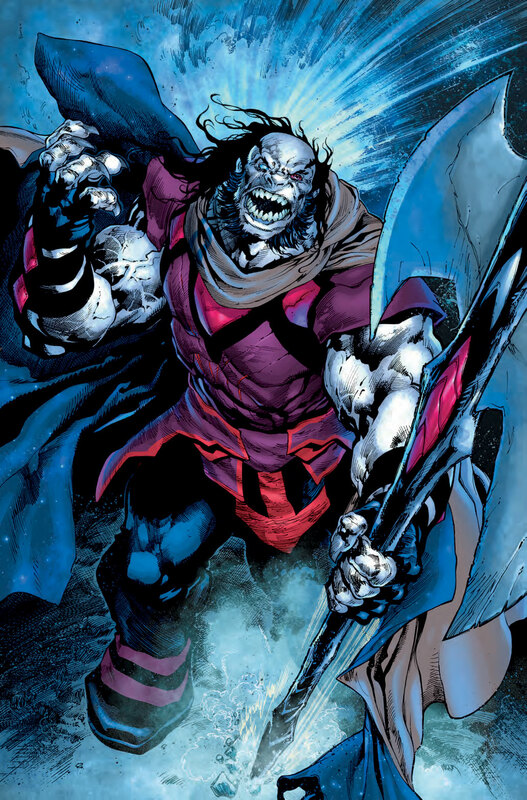 From the outset this story is setting itself up to be something different, as we are introduced to a new villain Rogol Zaar who has long sought the destruction of Krypton and its inhabitants. 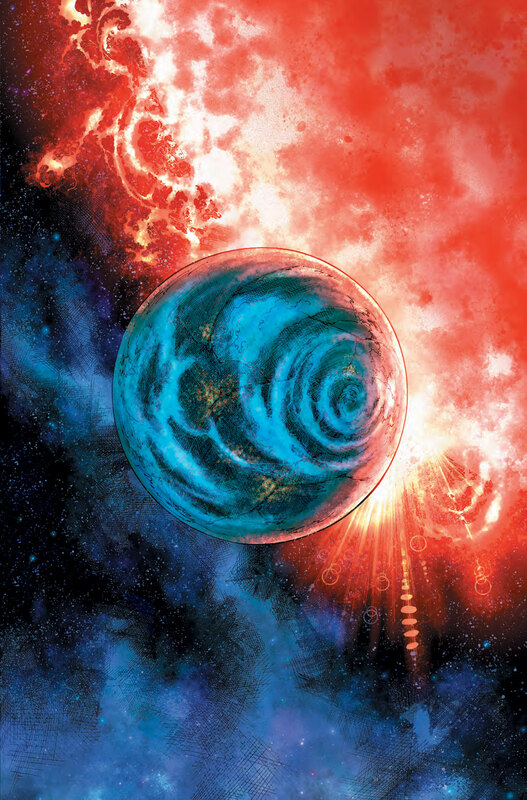 He appears to be a one-man planet destroyer, having previously served a group of celestial beings dating back centuries. Indeed, it appears that he was active prior to the destruction of Superman’s home planet. 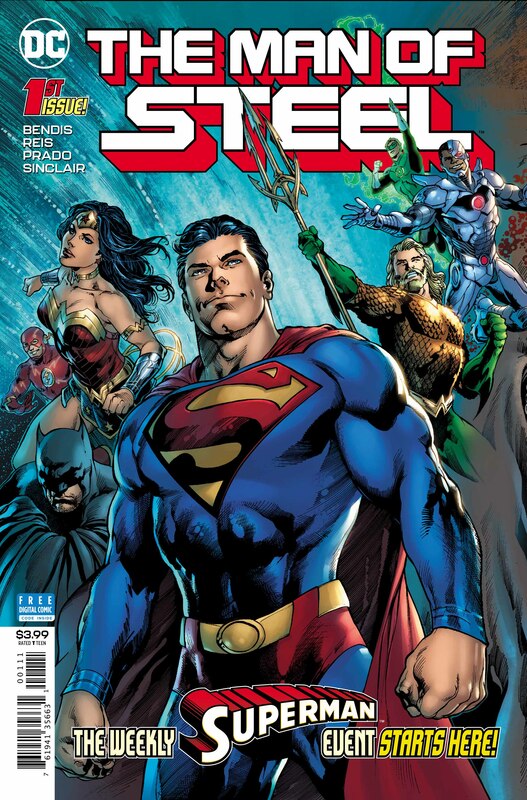 Bendis puts his distinctive stamp on the book right away, as the somewhat ominous opening to the book gives way to a humorous scene featuring Superman and two less-than-A-list villains. We see a good-humoured Clark doing his best to protect his city and interacting with its inhabitants both good and evil. 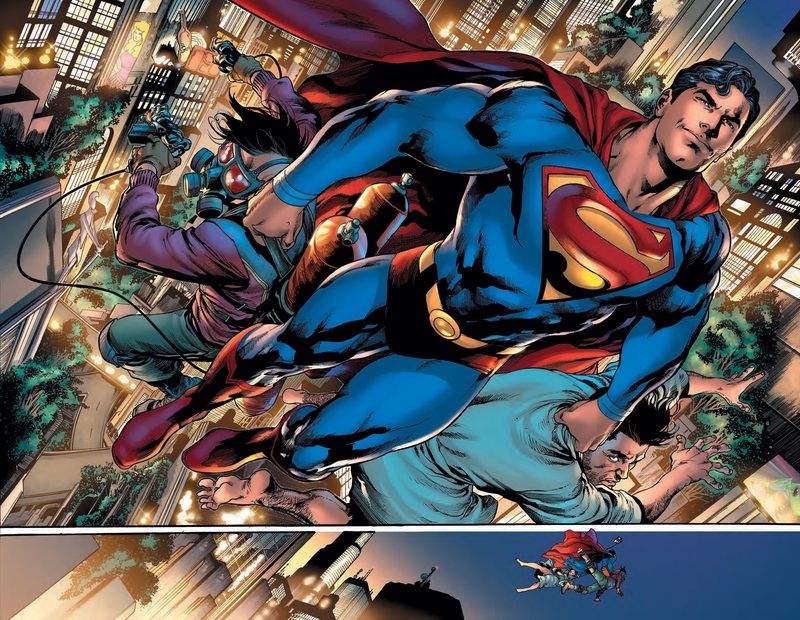 Bendis also takes the time to re-introduce us to some of Superman’s powers, an ideal approach for new and lapsed readers to help them really understand what the Man of Steel is capable of. 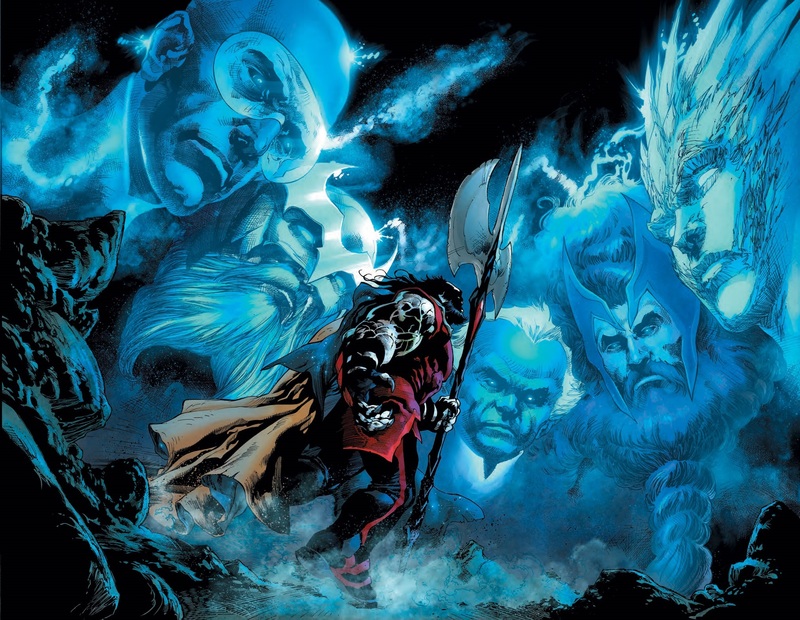 There is also a third storyline thread introduced regarding the location of two of Clark’s closes allies which is presented as a cliff hanger in the final few panels. Something tells me the next issue is going to blow the lid right off of that. Fabok & Reis bring some flat-out incredible art to start this new series, and each panel features an intricate amount of detail. My one complaint is that their styles are fairly different and it is very obvious when one stops and the other begins. It does feel slightly jarring at times, but considering the fact both artists are so skilled at their jobs it definitely wasn’t enough to distract me or knock me out of the story. Sinclair is on colours this issue and he does a good job of providing some consistency to the overall feel of the book, bringing both artists together and fusing them for the most part with his vibrant colours. The book features a varied sequence of events and set pieces, forcing Sinclair to really stretch between the void of space, alien planets and even our own home planet Earth. Everything is brought to life with startling precision and real understanding of how lighting and over/under saturation of colour can really make each panel pop. As a first issue of a brand-new series, the creative team do a great job of grabbing the reader’s attention and really selling the events as the most important thing going on in the DCU. 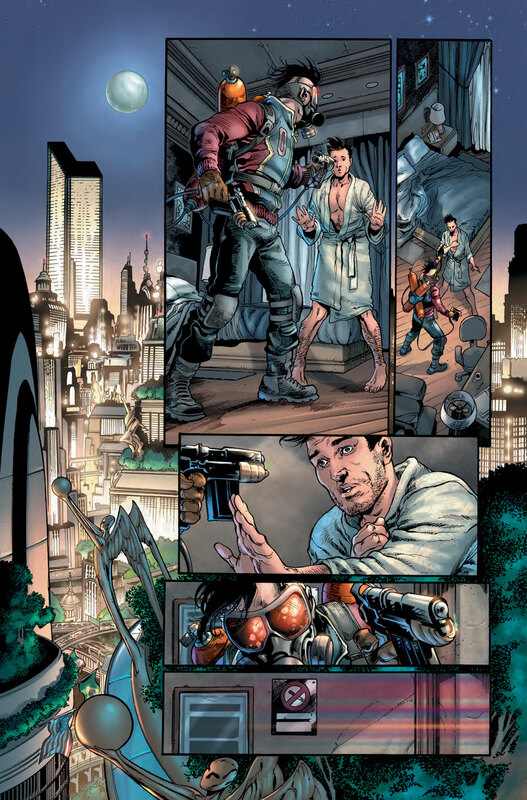 We have recently seen Superman go back in time to discover the truth about his father, but this is perhaps the first time we have had something new injected directly into his origin for some time. Superman’s newest series is guaranteed to be a hit for longtime fans and newcomers alike, taking what we know from his other appearances and builds on it. The book is ideal for new readers due to some clever writing, but it won’t frustrate older readers either. The series is off to a great start and given its weekly schedule means that we won’t have to wait too long for the next instalment!